Before we can list the best low light digital cameras on the market today, let’s first see why low light performance is so important in modern photography. As you can see, any given photograph has one main ingredient—light. 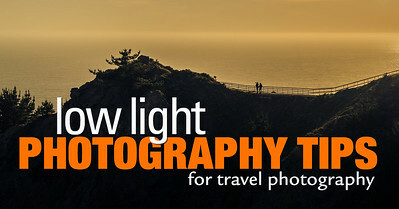 The way we record that light defines our photos. You probably notice that when you take photos of a scene with an abundance of light, even a mobile phone or a simple point and shoot camera can produce excellent results. But, when the sun goes down or we attempt to photograph an indoor event, the difference between a consumer camera and a professional camera is obvious. When you compare the best cameras for low light photography, as a rule, camera models with bigger sensors outperform models with smaller sensors. For that reason, I compare camera models in four different categories—Full Frame, APS-C, 4/3, and Compact Cameras with one inch or smaller sensors. 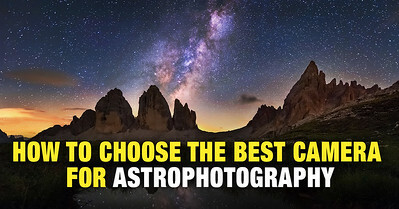 What are the Main Components of the Best Low Light Cameras? The digital camera sensor consists of tiny units known as “pixels.” For example, a 20MP sensor has 20 million tiny light-capturing units. When the shutter is open and the light reaches the camera’s sensor, the pixels measure the intensity of light by counting the number of photons that hit each unit. If we compare two 20MP sensors—one Full Frame size and another APS-C size—on a full frame sensor, the area of each pixel is 2.3 times larger than the area on the APS-C sensor. As a result, a full frame sensor is more capable of measuring the intensity of light and recording it with greater accuracy. Sony is the biggest manufacturer of digital sensors in the world. Most mobile phones, point and shoot cameras, and even professional cameras use Sony sensors. It is not surprising that Sony produces one of the best cameras in terms of low light performance. In film photography, ISO refers to the film sensitivity to light and determines how fast the light can be recorded by means of a chemical reaction. 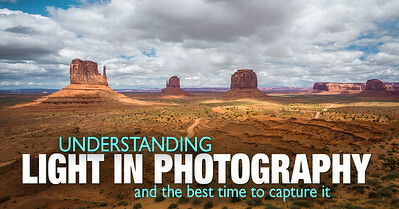 In digital photography, ISO means something entirely different—applied gain. Contrary to common belief, there is no such thing as “sensor sensitivity” to light in digital photography. The digital sensor always captures the light at a basic ISO and, when the light is recorded, the gain is applied to boost the signal. For example, when you change the ISO form value 100 to 200, the camera still captures the image at ISO 100. When it is recorded, the camera’s processor applies the gain to boost the brightness of the image by a factor of two. The increase in brightness occurs at the cost of details, sharpness, saturation, and dynamic range, which produces digital noise. This means that, depending on the sophistication of the camera’s image processor and the software algorithm, the quality of low light photographs will vary from brand to brand and from model to model. Because of their expertise in designing camera image processors, Nikon’s full frame cameras and Fujifilm’s APS-C cameras outperform some of the Sony models when using Sony sensors. Wildlife photography. When you shoot fast moving birds with super telephoto lenses, you need to use high ISO values even in optimal lighting conditions. Sports photography. Fast moving action in poor lighting conditions and shooting with long lenses is probably the most challenging combination of any type of photography. It is no surprise that sports photography is the main driving force in improving the performance of low light cameras. Street photography. Moving cars, people crossing the street, and deep shadows from buildings require excellent ISO performance. Photojournalism. As a journalist, you need a camera that can perform well in any condition—even in complete darkness. Wedding and Event Photography. Shooting inside churches and during late-night festivities where reshoots are not an option puts a lot of importance on how a camera performs in low light. Concert Photography. Shooting indoor in almost complete darkness makes low light performance a predominant factor in getting quality results. Astrophotography. When you use a super long shutter speed and boost the ISO to the max, the sensor quality and the ISO performance are paramount. For casual photographers, the most obvious scenario when low light is necessary is when you want to photograph a family gathering or your kids playing an indoor sport. Sony made a huge splash with their Sony A7… A full frame Mirrorless camera with a large sensor. Since then, they have consistently improved their Full Frame Mirrorless cameras. 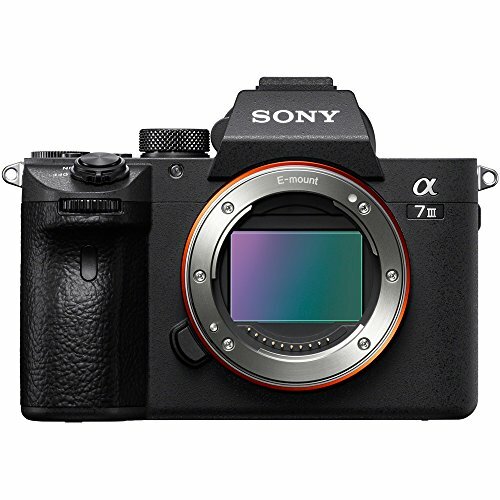 The third generation A7 III model is considered to be one of the best mirrorless cameras ever built. The Sony A7 III is an a full featured camera in a very compact, lightweight body. Sony used their new 24 megapixel BSI sensor in the A7 III which results in industry-leading dynamic range and unmatched high ISO performance. This camera produces amazing quality images at 6400 ISO without any digital noise. This is all backed up with a reliable autofocus system, updated body ergonomics, 10 fps burst mode and high quality 4K video. Lightweight body that packs a host of features. 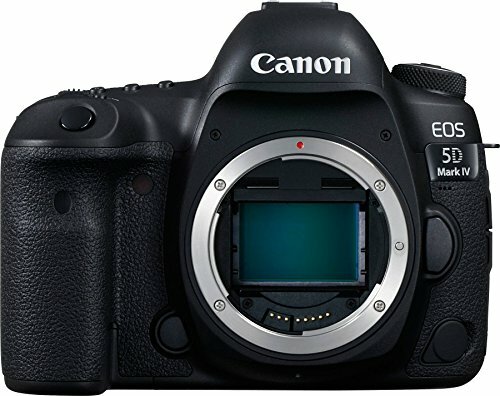 The Canon EOS 5D Mark IV is a coveted camera that is the go-to model for many professional photographers and videographers. This camera is absolutely perfect for those who are looking for a camera that is just at home shooting both mediums. While the Canon doesn’t boast the highest megapixel sensor on the market it does have a solid dynamic range and phenominau ISO performance… This makes it a great camera for low light photography. As with all of Canons top end cameras, the body is exceptionally well made… It feels very comfortable in the hands and has Canons excellent weather sealing. A great camera aimed squarely at the pro market. A well made camera that gets the job done. Optimization of AF settings is not very intuitive and takes some getting used to. Once upon a time, if you were looking for a high-quality Mirrorless body then the Fuji XT line would be your camera of choice. 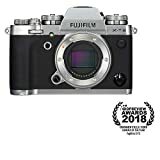 Nowadays, Sony and their full frame mirrorless cameras have stolen Fuji’s thunder, but the XT3 is still the best APS-C mirrorless or DSLR camera around. The XT3 boasts an amazing 26 Megapixel X-Trans IV (APSC-sized) sensor with significantly better AF performance and 4k video at up to 60p and 10 bit. The Trans IV sensor offers amazing low light capability, all the way up to 6400 ISO and only then does it start to reduce in quality… Although in fairness even at higher ISO values the quality is still exceptional. 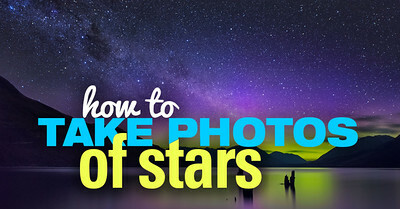 In addition, the camera offers excellent still image quality in both JPEG and RAW. It has a fast configurable AF, fast shooting with a large buffer size and for the video lovers there’s 4K video with both headphone and mic sockets. The thing that really makes the Fuji special though are the unque design the feel of the camera. It is lovely to hold with beautifully formed buttons and dials. It is a real pleasure to use the XT3. Beautifully made body that feels exceptionally well made and is wonderful to use. Other cameras at this price point are offering built-in image stabilization. Lackluster battery life … Be prepared to take spares! 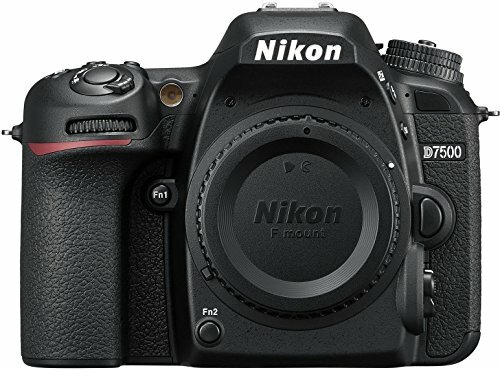 The Nikon D7500 is a hugely capable camera for a very reasonable price. This is probably one of the better cameras on the market for new photographers or those on a budget. Don’t be fooled by the low price though, this camera is packed with features. Inside the ergonomic, lightweight body is a 20.9 megapixel sensor that produces images of excellent quality. The Autofocus works exceptionally well, even in low light and while shooting at 8fps. Although it can be a little wobbly, if you’re shooting in Live mode. The dynamic range when shooting RAW is truly amazing… You can push the digital files a number of stops and still preserve exceptional details. Most surprisingly though for a small camera at this price point is 4K video, even if it is with a crop. For new photographers or for people who just don’t want to spend thousands on a body, this is the camera to consider. The crop on the 4K video does mean you are limited with the lenses you can use. Most ‘serious’ photographers don’t even look at the Four Thirds cameras available… Why would you, when there are some amazing Full Frame, compact cameras on the market? To start with this lovely little camera has an all new 20mp sensor, with a hybrid AF system that is very quick and does a good job of tracking subjects, even in low light. The body is well made and the dials are nicely laid out. The body has full weather sealing and is quite rugged. Now, let’s get to the really good bits: The camera has ‘market leading’ image stabilization built in, which can be used in both photo and video mode. There is Dual SD memory card slots. The camera is capable of 60fps in single AF mode and an astounding 18fps in continuous AF. Finally the Olympus offers high bitrate UHD and DCI 4K video. Needless to say the built in image stabilization makes this an incredible camera for low light shooting, allowing you to shoot at many stops slower,(while hand held) than you’d ordinarily be able to. 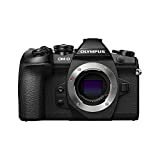 If you are after a very compact but incredibly well made camera for low light (especially hand held) shooting, the Olympus is well worth a look. Are you saying that the Nikon D750 is better than the Nikon D850 in low light conditions? Please help me to understand – I am still a bit new at this. But if my D850 can get clear images at a higher iso setting than the D750, how can the 750 have a better low light performance? Minor errors; in the graphic ‘best of’ comparison chart it says the Olympus E-M1 ii has a 24 megapixel sensor. However the later information is correct, at 20.4 megapixels. Also, the E-M10 ii has a 16 megapixel sensor, not 24. Can verify however, it’s still competent in low light, probably because the lower pixel count allows each pixel to be bigger, thus negating some of the pixel pitch issue versus full frame.